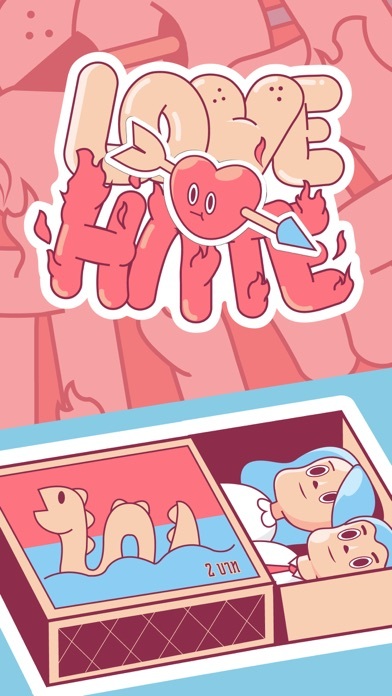 Love is weird, emotional and crazy stupid. 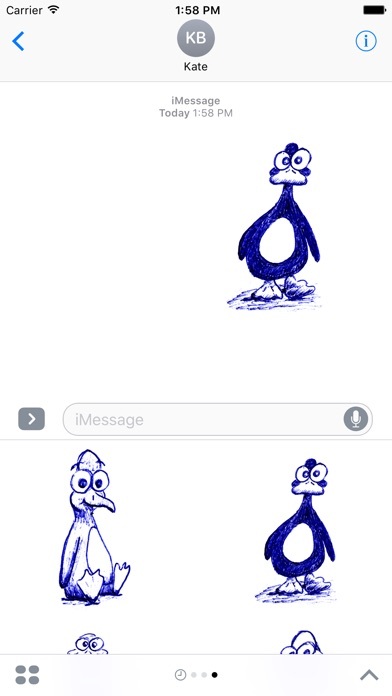 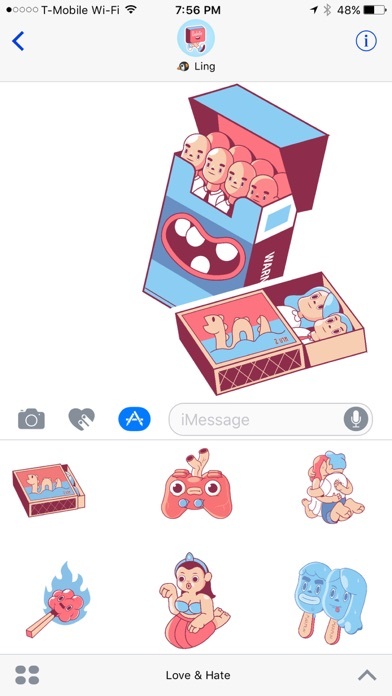 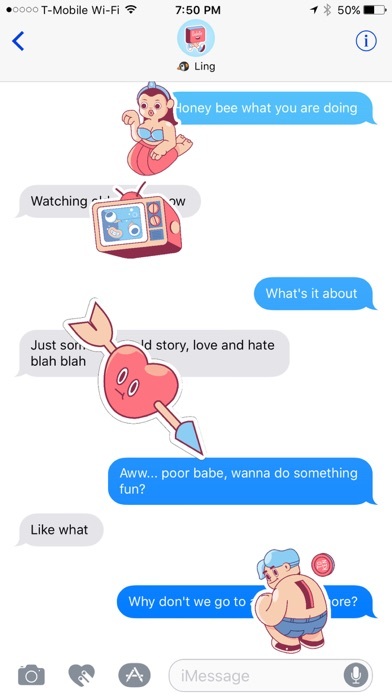 Express this with these 19 unique stickers including 4 animated items for any bitter sweet relationship. 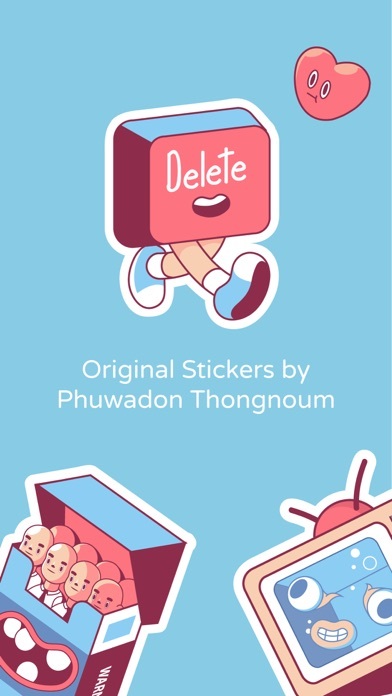 All with original artwork from the world-class designer: Phuwadon Thongnoum. 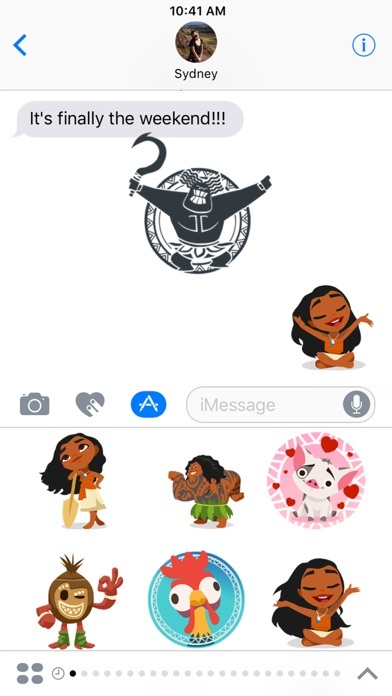 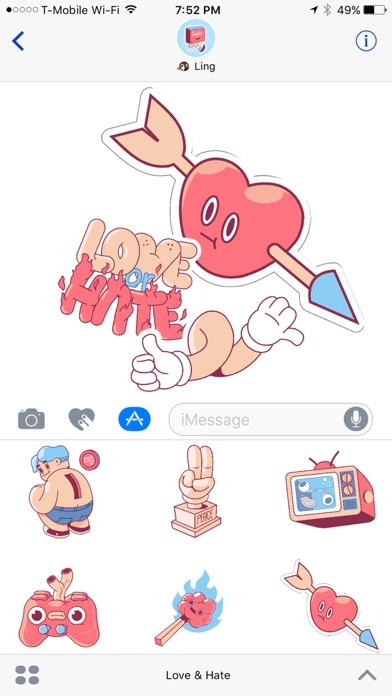 Step 3: Tap the Love & Hate icon, then start sending stickers to your friends!